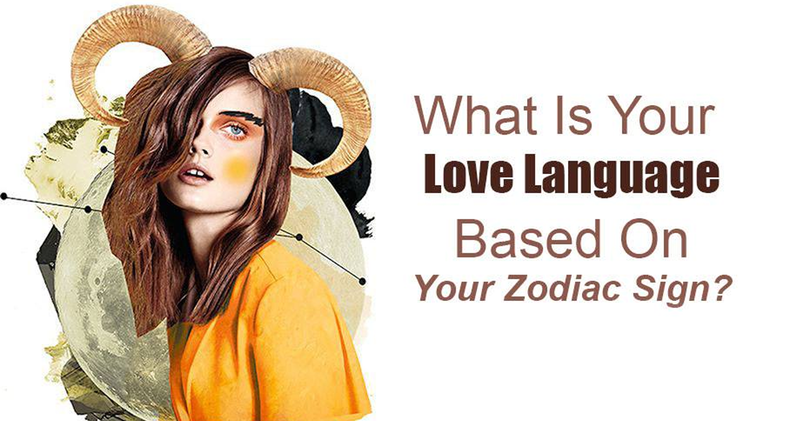 What Is Your Love Language Based On Your Zodiac Sign? Love language is all about learning a better way to communicate your needs and emotions. So, both you and your partner feel more loved. Learning about the best love language that you need to follow as per your zodiac sign is important, as it helps in strengthening your bond well. Our astro experts reveal about the best-suited love languages that you need to follow as per your zodiac sign, as they believe that our sign can influence which love language we speak the best because all the signs have specific, deeper needs. So, go ahead and check them out as to how you can pamper your favorite zodiac with the love language or expect your partner to follow the same. “Words of Affirmation” is your love language as you are big on it. This is what defines your relationship. If your significant other says good, nice things to you, it is something that will be a nice bump to your ego. You love it when your partner flatters you with love. “Receiving Gifts” is your love language You love and appreciate your partner’s love through the “material realms.” This is mainly due to you being an earth sign. Also, when you get thoughtful presents from your partner, it signals to you how much they care. All that you expect from your partner is to cuddle up and make you feel special. “Physical Touch” is the love language of this sign. Your ideal way of showing your affection is by expressing it in this way. You tend to desire a closer connection and are a little more romantic than what is expected of you. You love to spend hours hand in hand and talk about anything and everything. “Spend Some Quality Time and Words of Affirmation” define the love language of this sign. You love to be with the ones that you love the most. You love it when your sentimental nature drives the S.O. closer to you. You wish to be with your loved one for the longest period of time. “Words of Affirmation” is the love language of Leos. Being a Leo, these individuals love to have their ego stroked. Remember, all that they want is to be loved, needed, and admired. “Acts of Service” is the love language that these individuals prefer. They want their partner to show love in this way. You are one of the most helpful signs in the zodiacs. The little gestures mean the world to you. Hence, offering a hand with cooking, cleaning, and everyday tasks can make the bond stronger with your partner. “Receiving Gifts” is what defines this zodiac. They love everything to be divine around them. From scents to the setting, to their language of adoration, they feel best when they are in a relationship. “Physical Touch” is the love language of this sign. This sign is the most sexually charged zodiac sign. This sign is said to release pent-up emotions in the bedroom. They are known to keep themselves strategically close to the people that they wish to open up to. “Words of Affirmation” defines the love language of this sign. They love to hear on how much others love them and ideally be appreciated from time to time. The ideal and real way to get closer to a Sagittarius’ heart is to spend time in going on adventures with them. “Acts of Service” defines the love language of this sign. To get closer to this sign, one needs to spend time doing acts of services, as that can make their life easier to impress this sign. They love it when people are selfless and take care of things around in the world. “Acts of Service” just like the Capricorn sign, these individuals love to fall for people who go ahead and do things that will make an impact on the society. They are a sign of being collective and humanitarian. “Physical Touch and Quality Time” defines this sign’s love language. They crave love, and when they finally find the right person, they’d like to express their love in the most intimate way.